Sadly it's not a new transfer but it's the best looking version released. 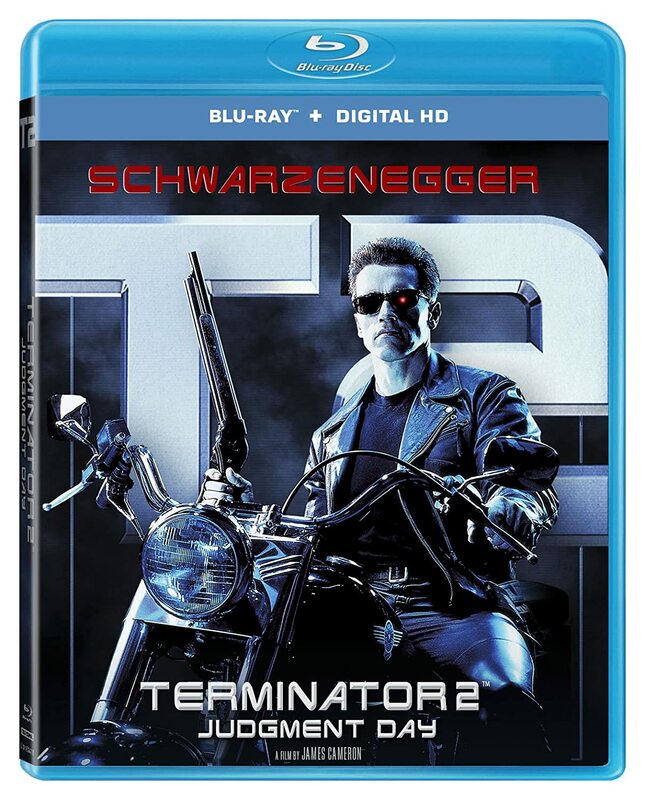 Previous blu ray releases (including the Skynet edition) have excessive DNR so they look terrible. I wanted to wait for a better version with a new transfer to be out. But since 2016 is the 30th anniversary of this and there is still no announcement for a new release, I figured for $5 this edition can't be beat. If nothing more it's worth $5 just because it features the iconic movie poster as the cover. This release has both the theatrical and the extended edition. But it's missing a third even longer cut. However since that cut has an invalid ending I have no issue with this omission. Speaking of Arnold movies on blu ray, I sadly found out that the US blu rays of both Conan The Barbarian and Conan the Destroyer are invalid. Neither one features the original mono cut, and in the case of Barbarian it has even more issues. Apparently there's a scene where the proper night/day filters aren't applies and there's a part where the audio mix is bad causing errors. The Australian, Italian, and French steelbook blu rays all have these issues fixed and feature the mono track. For Destroyer the only blu ray release with the original mono track is the UK barebones edition. ugh, need to get rid of my US blu rays. Just bought from ebay a sealed Ghostbusters 1&2 digibook blu ray set for under $18. Not a bad deal. Conan The Barbarian: Some scenes incorrect, and no original mono track. Will try to track the valid Australian release. Wanted to return Conan the Destroyer (no mono track) but it wasn't in their system. In other news, got for $18 the 5 disc set of all the original Planet of the Apes on blu ray sealed!! Sick deal. How'd you get that? lanza218 wrote: Sick deal. How'd you get that? I found one on ebay that was BIN or Best Offer with free shipping. I offered $18 and he took it. That's $3.60 per movie. At that price not even worth pirating. Keeping up the Planet of the Apes theme I found the 2001 Burton/Wahlberg release for $6.78 shipped! If nothing else a good item for autographs. Plus I always preferred that over the most recent reboot. Got some well priced blu rays at Best Buy. Got like $8 each I got the 40th Anniversary Edition of Rocky Horror Picture Show and Watchmen Director's Cut. Then I saw 25th Anniversary blu rays of both Akira and Ghost in the Shell. Price matched with amazon to trim a couple of bucks from each. Came out to about $20 for Akira and $10 for Ghost. Then I used a $15 reward certificate I had that expired soon (glad I remembered it). In honor of my Peter Weller photo op I got for $10 shipped on ebay the Robocop blu ray trilogy set.